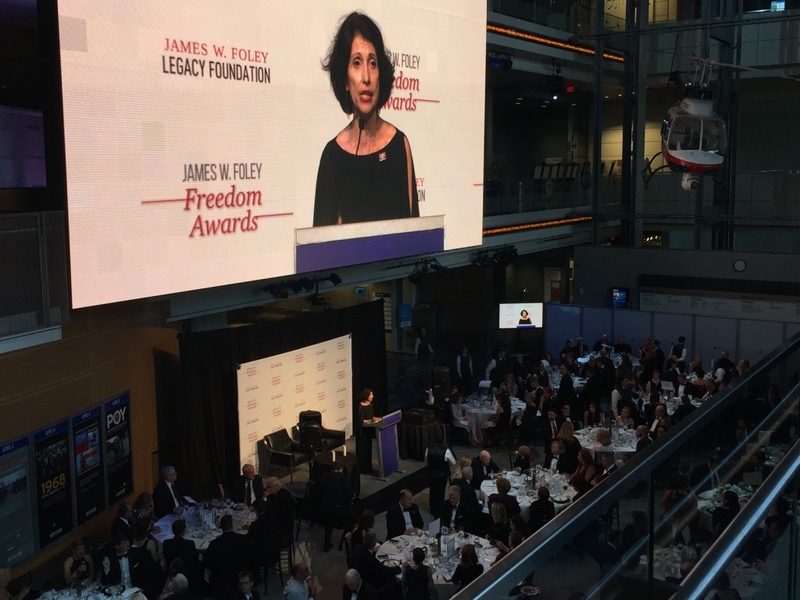 WASHINGTON, DC, 26 June 2018 – Mrs. Diane Foley addresses guests at the James W. Foley Freedom Awards at the Newseum in the nation’s capital. The event was an extraordinary testament to the power of one mother’s love for her son, a freelance photojournalist. Mrs. Foley was kind enough to invite me, and a number of American University students, to the event. All of us were moved by the proceedings. James Foley was a freelance photojournalist kidnapped on November 22, 2012 in northern Syria. He was murdered by militants of the Islamic State in Iraq and Syria on August 19, 2014 in the Raqqa region of Syria. As a freelance foreign correspondent and full-time faculty member of American University’s School of Communication, I am familiar with the hardship and risk associated with our craft. I created and teach a Foreign Correspondence course designed to help young journalists aspiring to work overseas. The James W. Foley Legacy Foundation provides much-appreciated support for us all. 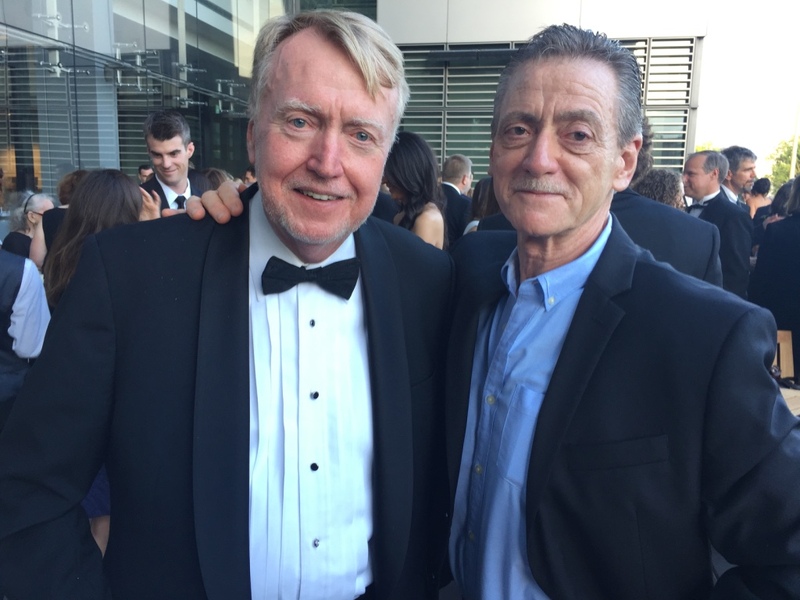 At the dinner, I ran into long-time colleague and friend Mike Boettcher, a war correspondent whom I first met while covering Nicaragua’s Contra War in the 1980s. Mike has embedded with U.S. troops numerous times in Iraq and Afghanistan. He is a visiting professor at the University of Oklahoma. Mike practices the methodology that we refer to as “backpack journalism,” which I introduced to the School of Communication shortly after arriving there in 2003. Also at the event was my terrific colleague Gemma Puglisi, who facilitated the invitation from Mrs. Foley. 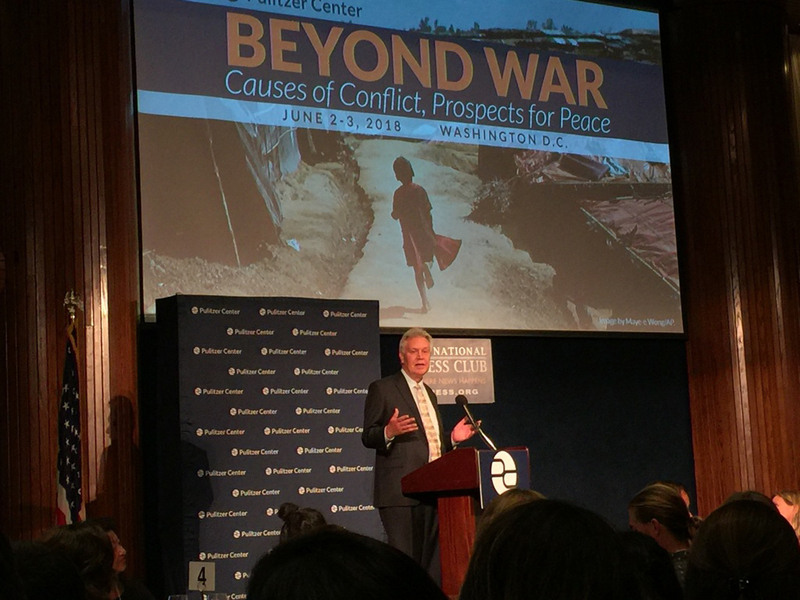 WASHINGTON, DC, 2 June 2018 – Jon Sawyer, Founder and Executive Director of the Pulitzer Center on Crisis Reporting, addresses dinner guests at the Center’s “Beyond War Conference” at the National Press Club in the nation’s capital. During his address, Sawyer emphasized the increasingly important role that freelance journalists play in today’s media landscape. 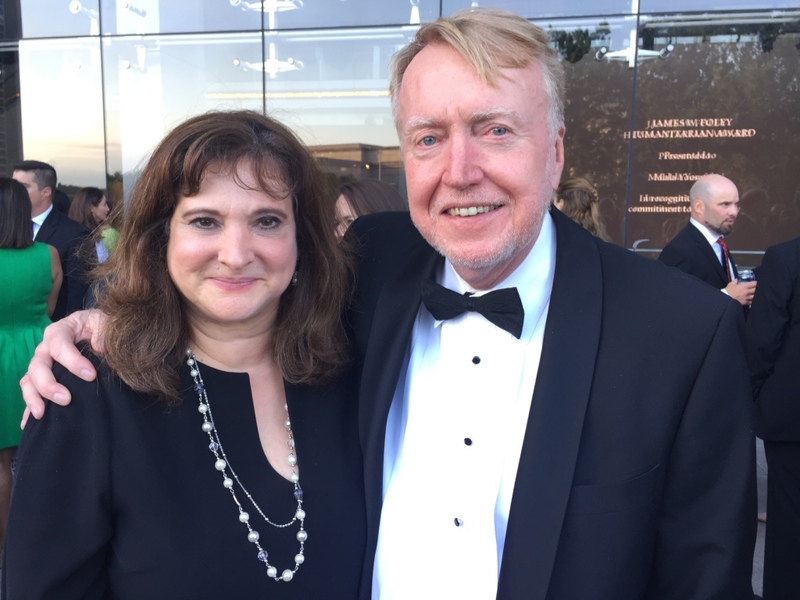 The Pulitzer event features two days of panels and workshops dealing with the issues of violence and conflict around the world – along with some of the most talented and accomplished journalists covering those issues. Most are freelancers. 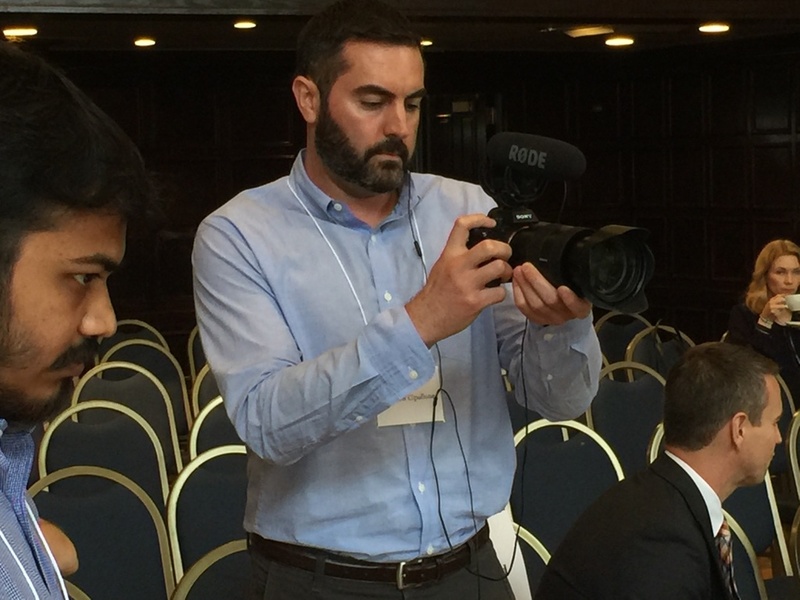 Among the panelists was Jason Motlagh, a multiple Pulitzer Center grantee who screened some clips from his upcoming documentary about the Rohingya crisis in Myanmar. Just a few years ago I helped engineer a partnership between American University’s (AU) School of Communication and the Pulitzer Center. That relationship has helped co-sponsor international reporting fellowships for AU students traveling to Mexico, Thailand, Colombia, Borneo, Laos, Peru and, this fall, El Salvador. Some of those students attended the event last night. The argument about freelancers is the core of my upcoming documentary series, FREELANCERS with Bill Gentile. My graduate teaching assistant, Matt Cipollone, and I traveled to Mexico in March 2017 to shoot the pilot episode. Matt has graduated from AU and now works as a freelancer. Jason Motlagh is on the far right, with beard. 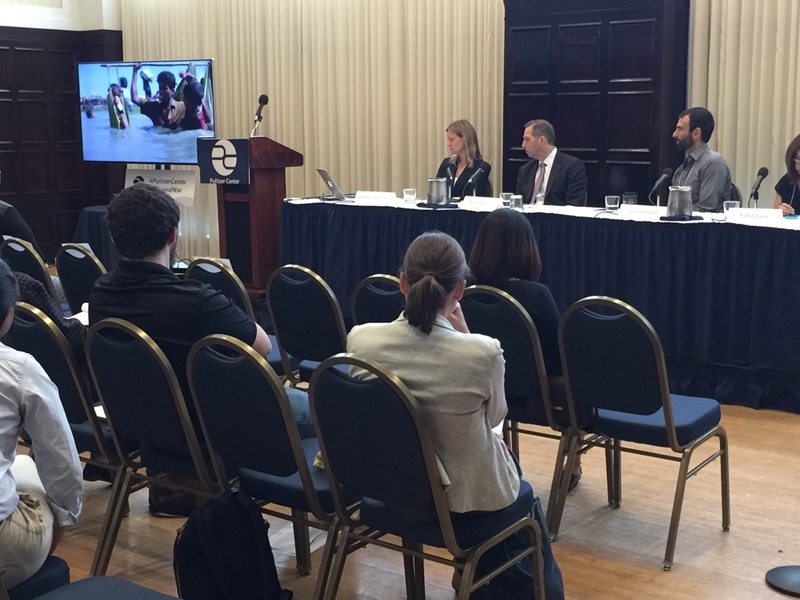 Guests view Motlagh’s Rohingya video. Matt Cipollone documents the event.